Solid wood construction using mortise and tenon joinery ensures the Brentwood 56" Dresser and mirror will someday become a treasured family heirloom. Offering a simple Shaker design with tapered feed and a framed beveled mirror, our Brentwood 56" Dresser is Amish built to last. Soft close, full extension slides ensure your Brentwood Dresser drawers close quietly and extend fully. The vertical beveled mirror, though included with your purchase, can be removed from the dresser if you prefer. Our Brentwood Dresser with Mirror can be personalized by selecting your choice of wood and stain using the options menu. 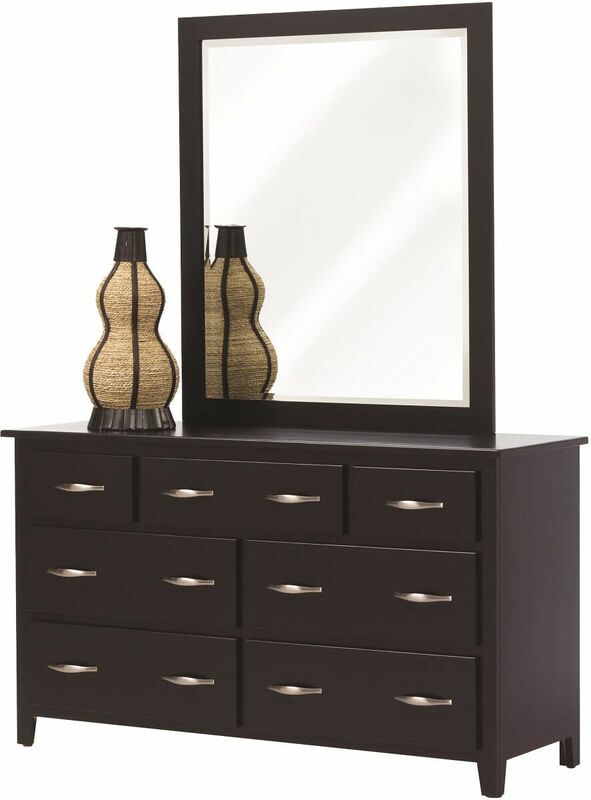 To obtain the pictured look, choose Brown Maple with our specialty Vintage Black painted finish.